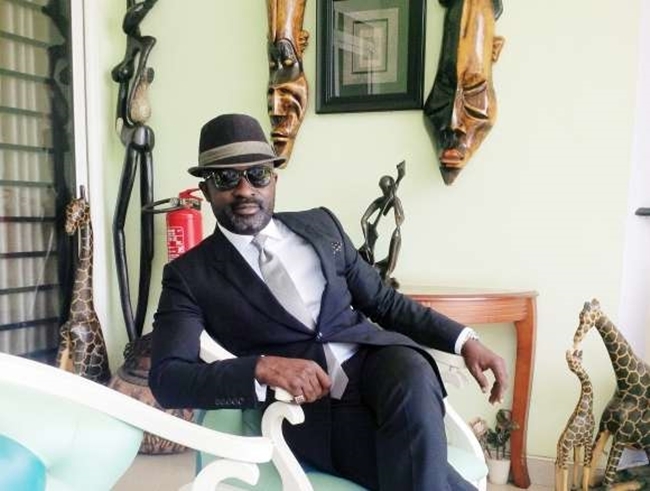 Highlife artist, Kwabena Kwabena and his estranged wife, Abena Owusuaa are prepping themselves for a long ride for a tussle over custody of the kids, the house and the car. Sources close to the separated couple have hinted www.entertainmentgh.com that, Abena is now living in a rented apartment in a suburb in Accra after being kicked out from the house she helped build with Kwabena Kwabena, who is said to be living in the house with his new woman, Frema Ashkar. Abena has hired a reputable lawyer to help her fight for control of the house as well as total custody of their two (2) kids. The sources also claim that Abena is also asking for the car being driven by Kwabena Kwabena – why? because the car belongs to her. She bought it herself and wants it back. This portal has also got word that Abena has contracted one of the best legal luminaries in the country – Nana Asante Bediatuo, who is also the Executive Secretary for the President of the Republic of Ghana, Nana Addo Dankwa Akufo-Addo. Nana Asante Bediatuo started his legal career as an attorney at Paul Weiss Rifkind Wharton & Garrrison, one of the most prestigious law firms on the iconic Wall Street in New York. After years of working 14 hours a day, he decided to take a leave of absence from Paul Weiss and took up a consultancy with the African Development Bank in Abidjan. Lawyer Bediatuo has been involved in high-profile cases. He is noted for winning a number of high-profile cases which puts Abena Owusuaa in some ‘comfortable lead’ in her pending suit against Kwabena Kwabena.